For the third year, I am participating in the annual Picture Book 10 for 10 event hosted by Reflect and Refine: Building a Learning Community and Enjoy and Embrace Learning. Bloggers who participate post a list of ten favorite picture books. In previous years, I have picked books related to a theme. 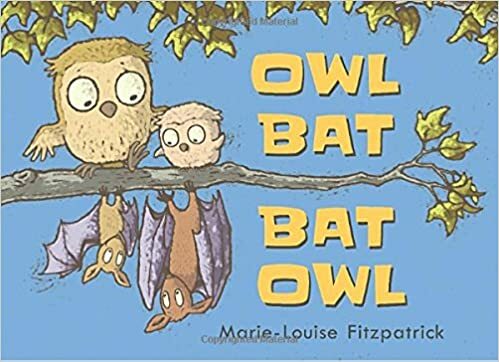 My ideas about a theme this year kept changing, so I decided instead to be simple and compile a list of ten picture books I want to share with students during the upcoming school year. A few of these books on my list are tried-and-true. I've read them before and I know students love them. Others are books that are new to me and I want to share them with students for the first time. 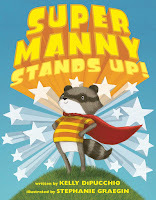 I read this book to first and second grade classes last year and they loved it. Students were amused with the author's use of inventive language. 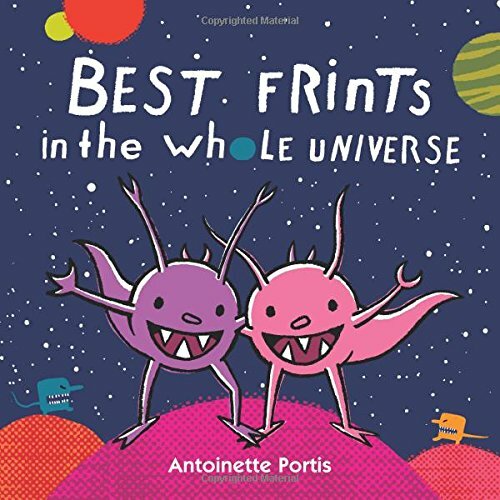 It's a funny and sweet book about friendship. I plan to read it to our incoming first graders this fall. 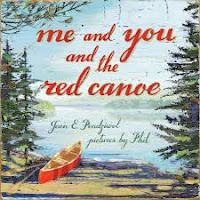 This is another book that was a big hit with students. 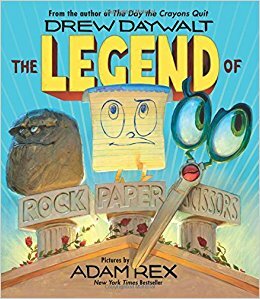 I read it to a few classes and they loved the imaginative and humorous legend about how the popular game of Rock Paper Scissors came to be. Last year, I read this book to the small groups of students I work with in first, second, and third grade. It's a great book to use to start a discussion about the necessity of persistence when learning to read. Students loved the surprise ending. I'll use this one again to help students think about mindsets for learning. 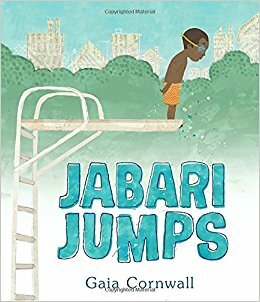 Jabari is afraid to jump off the diving board until he gets some encouragement from his dad. This is a wonderful story about courage, optimism, and risk-taking. 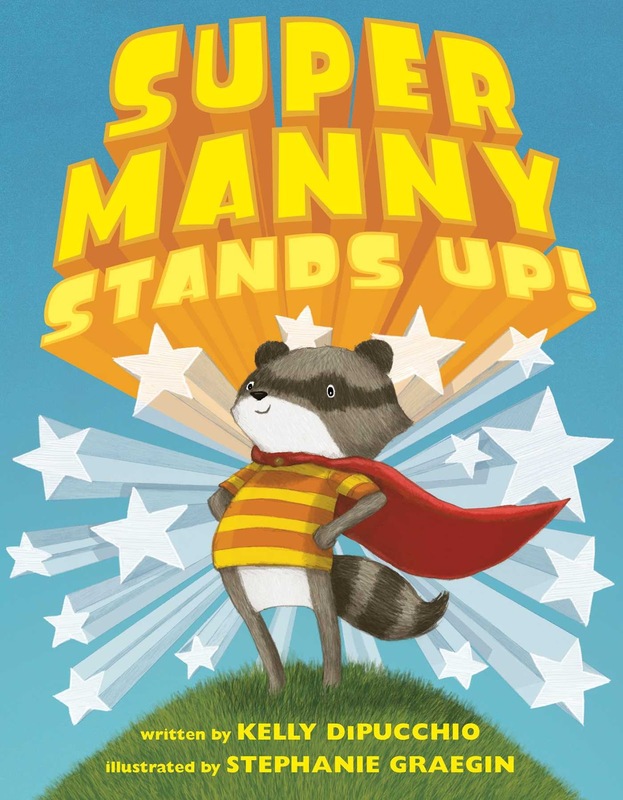 This is another book about courage, but it also has a message about standing up for others. Students at my school have loved other books by Kelly DiPucchio, such as Everyone Loves Bacon and Dragon Was Terrible, so I think they will enjoy this one, too. I'll share this book this year because it's funny. There's a few lines and pages that will definitely appeal to kids. The kids in the book also show they are great problem solvers. I am a big fan of Zachariah Ohora's illustrations which also bring a lot of humor to the book. To support my students in learning to have discussions about text, I plan to start with some wordless picture books. 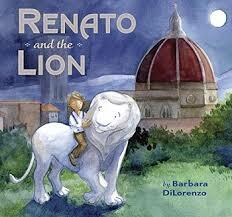 This is a sweet wordless book that will spark discussions about family, differences, and accepting others. There are some books you want to read again and again just to revel in the language. This is one of them. It's a beautiful and poetic slice of life story that pulls you right into the moment. Absolutely gorgeous illustrations. 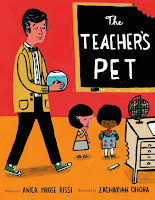 This book will certainly go on my list of mentor texts for teaching writing. This is a touching story set during World War II. It's also a story about art that gives insight into the time period that many readers do not know about. The watercolor illustrations are as beautiful as the story. As a reading specialist, I want all students to know the power and wonder of reading. This is a wonderful book that shows there is much to be discovered within the pages of a book. Last year my 10 for 10 list was a list of picture books about books. This is a new favorite book about books to add to my list. 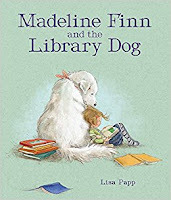 If you would like to check out my previous 10 for 10 lists you can find my list of ten books about books here and my list of ten books useful for discussing effort and perseverance here. Thanks for checking out m list. Those will be great additions to the library. Lots of new titles for me to explore on your list. Requesting The Book of Gold, me and you and the red canoe, and Jabari Jumps. Jabari Jumps is on my list, too. Can't wait to read a few of these that are new to me. I can see why all of these books have made your list. There will be a perfect moment for each one at some point in the school year. 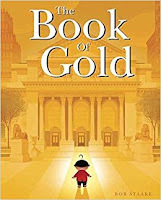 I am certainly intrigued by The Book of Gold. I teach grade 9 and even then I have to work hard to convince students about "the power and wonder of reading". Thanks for sharing and I hope you have a terrific year! I'm off to add all of these to my book order for my library! Thank you. Jabari Jumps is so wonderful. I really enjoyed many of these. 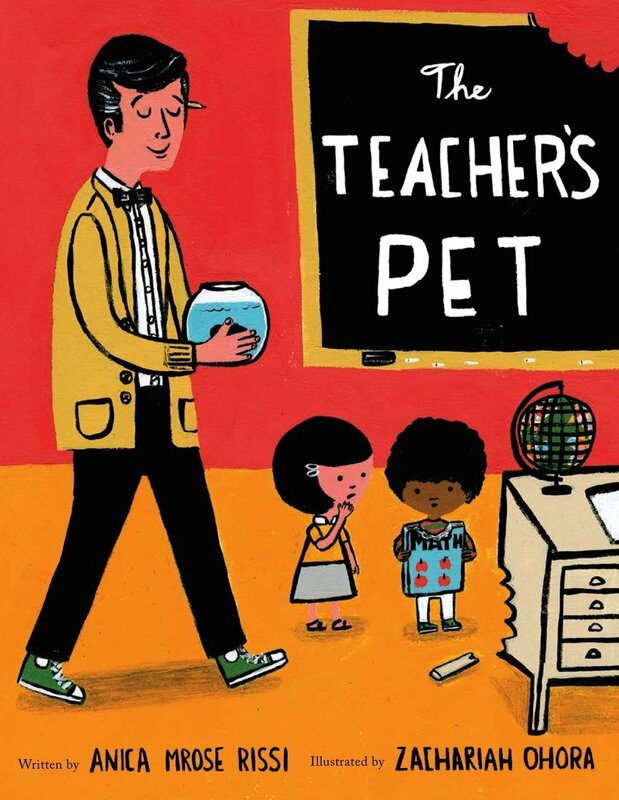 Teacher's Pet made me laugh out loud.